Most dairy products are approved and even recommended for low carb diets. Yet milk does not always make the cut even though these products actually come from that very milk. Milk itself is high in sugar – just one cup, and you’re getting about 12 grams of net carbohydrates already. This means, for a low carb diet such as keto, milk won’t exactly cut it. But this doesn’t mean that you’re completely eliminating it from your régime; not with so many low carb milk options available today that fit the bill. Is Milk Low Carb Friendly? The white opaque liquid produced by the female mammals such as cows, goats and camels – milk – is a nutrient-rich substance and the main source of nutrition for newborn mammals. From vitamins such as riboflavin to minerals like selenium, phosphorus, magnesium, zinc and calcium; milk, especially whole milk, is such a rich source of essential compounds for the human body. However, whole milk and the other low-fat alternatives including skim milk and non-fat milk aren’t quite welcome when you’re on a strict low carb diet. A ketogenic diet aims to minimize the intake of carbohydrates while upping the consumption of fats. With its high lactose content, milk is likely to raise the amount of sugar in your diet. Secondly, a lot of people have problems digesting lactose. Normally, the digestive enzyme lactase responsible for breaking down lactose is produced by the body in large amounts soon after birth but starts to decline at the end of lactation stage. The body then continues to produce the enzyme as the individual continues to drink milk, though some people develop intolerance to lactose or become downright allergic to milk. Based on your genetics, you could experience mild to severe digestive problems when you take milk. For these reasons and more, people on low carb diets swap cow’s milk with other keto friendly types of milk in their diets or replace it altogether with milk alternatives. With no lactose in its composition, lactose-free milk is often considered an option for those who are lactose intolerant. However, this is still no option for people on ketogenic or other low carb diets. To make lactose-free milk, commercial milk producers normally add lactase, the enzyme that breaks down lactose. This results in the formation of glucose and galactose, two sweet-tasting, ready-to-digest forms of carbohydrates that will spike your blood sugar in a moment. Some people are allergic to milk protein, casein and/or whey. Taking a glass of milk or any food item with milk as an ingredient often causes their bodies to experience allergic reactions including hives, swollen lips, and other significant symptoms. While casein-free milk is free of milk protein, it still contains lactose, the sugar that makes it keto-unfriendly – hence not recommended for a ketogenic diet plan. Fortifying the low carb milk means that it contains the essential minerals like calcium and vitamins that you often get from regular milk. So, taking fortified low carb milk is the best way to ensure that you’re getting the full benefit of milk without compromising on your low carb policy. Systematic review of greenhouse gas emissions shows that dairy milk manufacturing on average produces between 1.2 and 3.3 kg of CO2 per liter. Such a wide range comes from a place of production with Africa being responsible for the biggest impact. In contrast, almond and coconut milk leads to emission of only 0.42 kg of CO2 per kg. 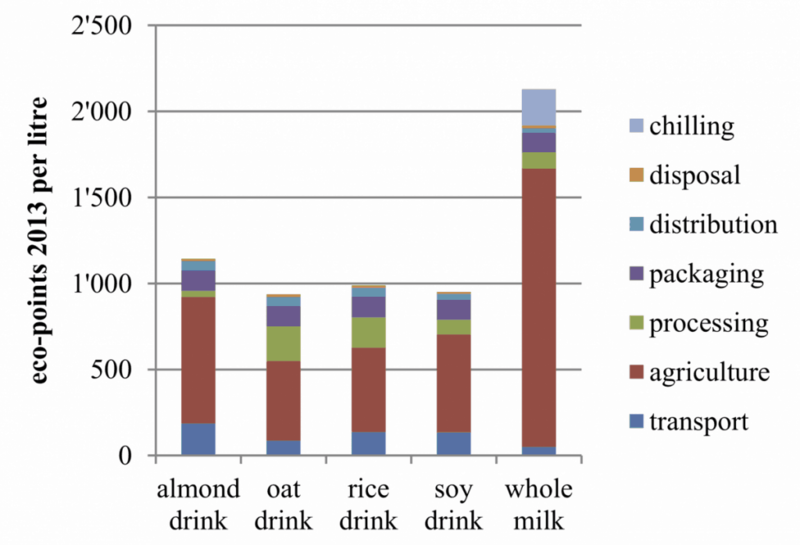 Soy milk has a higher impact with 0.88 kg CO2/L but it’s still significantly lower than whole milk’s numbers. Silk, a popular dairy alternative milk manufacturer, claims that producing one carton of Silk uses 80% less water and generates 47% fewer greenhouse gases than producing one carton of typical dairy milk. The study analyzing the environmental impact of vegan drinks compared to whole milk showed that dairy is much worse. While low carb these milks come at fairly higher prices compared to ordinary cow’s milk, some of them are more expensive than others. Fortified low carb milk is often packed with fairly rich amounts of calcium for its vital health benefits such as bone health. The best non-dairy milk is fortified with at least 120 milligrams of calcium per 100 ml to make the most of this alternative. Manufacturers sometimes add a bit of sugar to low carb milks to enhance the flavor. So, you may run into these sweetened options when going low carb. Be keen to stay with the unsweetened options so you don’t shoot up your sugar levels. Fortified milks may contain any number of vitamins. It helps to check to ensure that the option you are picking has some of the most essential vitamins, particularly B12. This vitamin supports the immune system in addition to being essential for a healthy brain. Being made artificially from other plant-based food materials, some manufacturers may pack up their non-dairy milks with preservatives and other additives. While additives may help give the milk a smooth texture and thick feel, you may want to avoid some of them. Low carb milks differ in the amount of fat, protein and calories per cup. Be thoughtful about your calorie intake because no diet can keep you losing fat if you consume more calories than your daily expenditure. 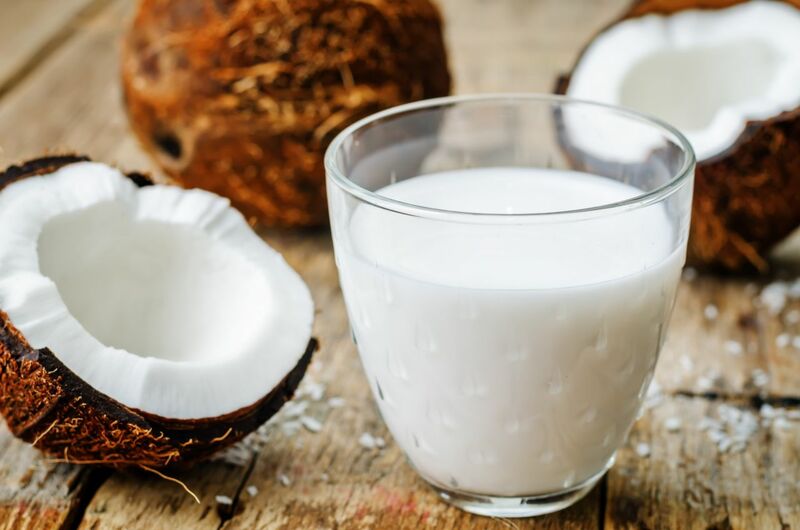 Coconut milk is one of the most popular food items in the keto world. It is quite high in calories and contains almost no carbohydrates. The milk is made by grating the white part of coconut (coconut flesh) and soaking it in hot water, then extracting the milk by skimming off the coconut cream (at the top) and squeezing the resultant liquid through a cheesecloth. Commercially made coconut milk is typically sold in cartons (often on the milk isle in your regular food store) or in cans. While the two types of coconut milk (sold in cartons and cans) differ in consistency, they virtually have the same taste; a creamy texture and a mildly sweet, subtle coconut flavor. The milk is used for cooking curries and soups, but also goes well with smoothies, baked keto goodies, non-dairy cheese. Coconut milk offers great support to the body’s immunity and helps prevent disease. It also contains medium-chain triglycerides (MCTs) such as lauric acid that are easily absorbed to provide the body with quick energy. According to an animal study of coconut fats, taking coconut milk can help normalize your glucose metabolism and decrease inflammation. The antimicrobial properties of the MCTs in the milk has also been found, in an in vitro study, to kill harmful bacteria in the gut. Canned coconut milk may often contain additives and chemicals like Bisphenol-A (BPA), which might cause digestive issues and hormone disruption respectively. Nonetheless, you could avoid these side effects by making your coconut milk at home. Almond milk is one of the most popular low carb milks with only 1g of net carbs and between 30 and 50 calories per cup. While unsweetened almond milk is available for buying in most food stores, you can actually make yours at home by soaking almonds and grinding them in a blender with water, then straining out the fresh almond pulp with a cheesecloth or strainer. Alternatively, you could buy almond butter from the food store and add water to it to form almond milk. Almond milk has a characteristic light almond-like taste. It is mildly sweet with a hint of nuttiness and the almond flavor. It goes well with tea or coffee but can as well be added to smoothies or used in the place of regular whole milk in baked foods and desserts. Almond milk is a rich natural source of vitamin E having up to 10 mg per cup, or 50% of the daily value for adults. Nut milks are often highly diluted with water due to the way they are made. Unless almond milk is fortified it will be missing most B vitamins, essential fatty acids, zinc and copper found in almonds. Unlike regular milk or soy milk, evidence shows that almond milk does not trigger allergic reactions nor does it affect your hormones. Because the milk is low in calories, it can perfectly support weight loss. 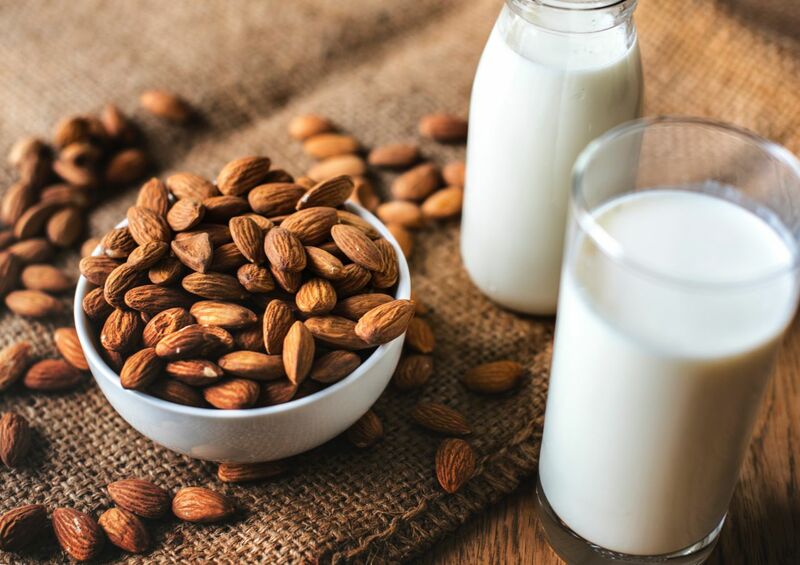 Since almonds contain phytic acid, there are concerns that taking almond milk over time could lead to mineral deficiencies as phytic acid is known to impair the absorption of calcium, iron and zinc. Unlike nut milks, pea milk is made by first grinding yellow peas into a flour, followed by extracting pea protein from the resulting flour. The protein is then blended with water, essential nutrients and sunflower oil after purifying it, to create the pea milk. Pea milk has a taste and consistency that is very close to cow’s milk among all low carb milks. The keto friendly milk has more calcium than dairy milk, making it great for bone and overall health. It is also low in calories, which makes it ideal for weight loss. It can also help support a ketogenic diet since it contains just about the same amount of protein as regular cow’s milk, in addition to its healthy fats. One animal study of the properties of pea protein provided evidence supporting that the protein could lower blood cholesterol. Based on the study of some 161 males aged between 18 and 35 years, it was established that pea protein helps promote muscle thickness similar to whey protein. 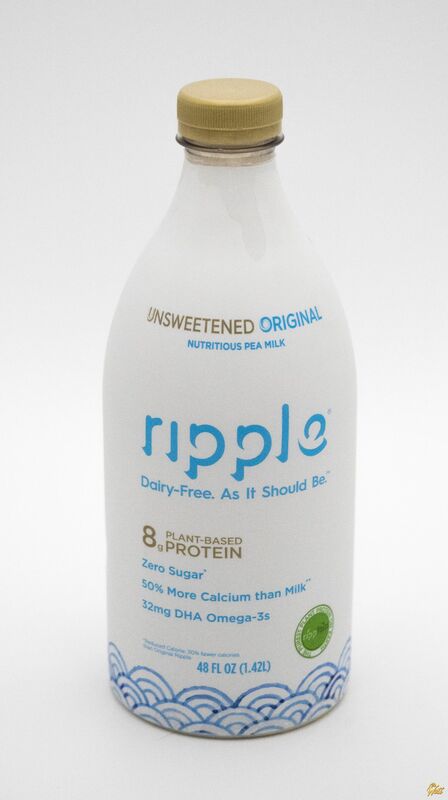 There is little research around pea milk, since it is a new entrant in the low carb milk marketplace. However, some evidence indicates that the milk contains less of the essential amino acids required in the body. Pea milk has a much lower water footprint than almond milk and a much smaller carbon footprint than cow’s milk. Yellow peas from which its made are easy and inexpensive to grow which causes such a positive environmental impact. Flax milk is made by blending raw whole flax seeds with water in a high-speed blender and filtering out the solid broken pieces before extracting the liquid and blending it again with spices or supplements. The milk is low cost, hands down. Being high in fat and low carb, the milk can help you achieve ketosis on your low carb regimen. 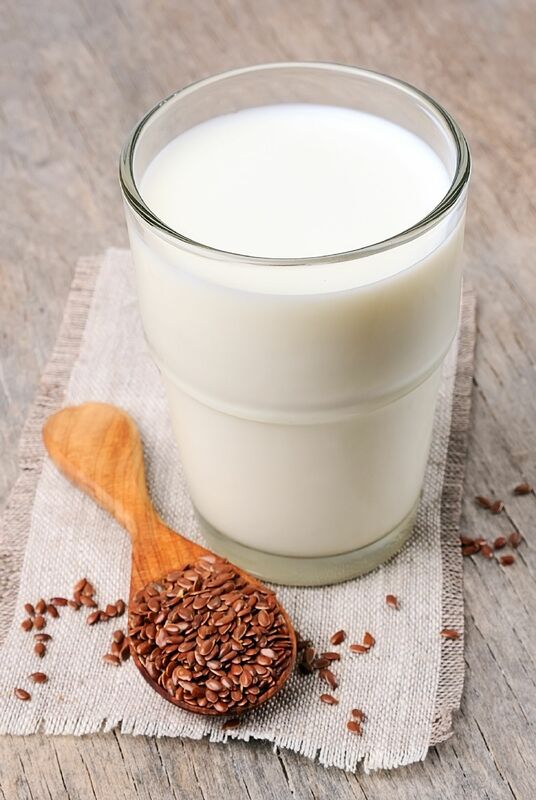 Flax seeds are also packed with omega-3 fatty acids, so the milk can help with managing blood pressure and contribute to the prevention of cardiovascular disease and other life-threatening conditions like atherosclerosis, cancer, diabetes and arthritis. Various studies on the role of omega 3 fatty acids in cancer prevention also hint to the fact that flax seeds could help reduce inflammation, support normal brain functioning and reduce the risk of breast cancer. Milk from flax seeds contains no protein. Since it requires preservatives because it contains high amounts of omega-3 fatty acids, some of the preservatives and sweeteners may have negative effects on your blood sugar levels. Flax contains a high amount of phytoestrogens but not much known on how much remains in the oil after the seeds are pressed. Also the potential positive and negative health effects of these compounds are under extensive research. Hemp milk is ideal choice for people who cannot consume nuts, soy and/or gluten. Making hemp milk involves soaking and pulverizing hulled hemp seeds (from a cannabis plant variety), then blending them with water and separating the liquid from the solid residue by filtration. Just like hemp seeds, the milk has a rich, mildly sweet and nutty flavor and taste; comparable to that of sunflower seeds. Hemp milk contains more protein (2-3g per cup) than many other low-carb milk alternatives but it’s still much lower than regular cow’s milk. Additionally, this milk contains some vitamins and essential minerals including calcium and iron, which supports bone health and the making of healthy oxygen-carrying red blood cells respectively. 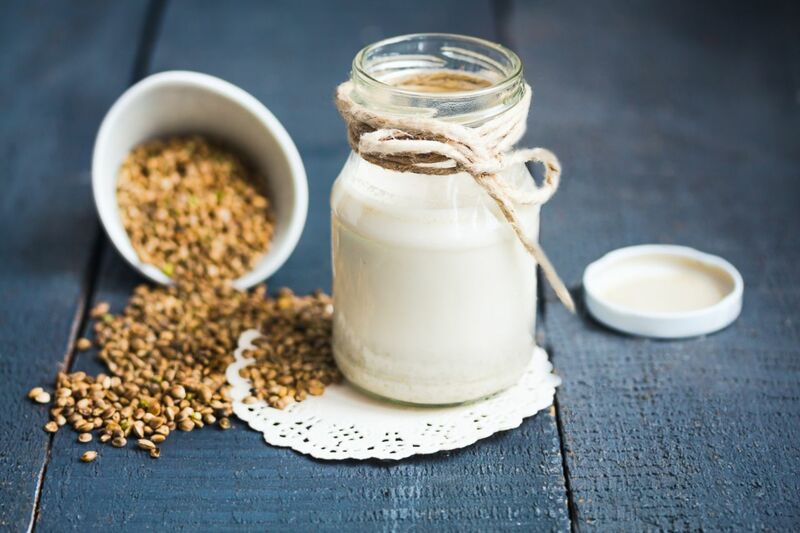 Evidence from different studies also indicate that taking hemp milk could help with brain and cardiovascular health as hemp seed contains generous amounts of both omega-6 and omega-3 fatty acids with a 3:1 ratio. Hemp milk tends to have trace amounts of phytic acid that might interfere with the absorption of essential minerals such as iron and zinc creating the risk mineral deficiency. Cashew milk is made from a blend of cashew butter and water or blending water-soaked cashew nuts with water. The milk is creamy with a rich, nutty and subtle sweet flavor. Cashew milk is low in calories at just about 25–50 calories a cup. As such, unsweetened cashew milk can be making it perfect for someone who is looking to shed off some weight by reducing their daily intake of calories. 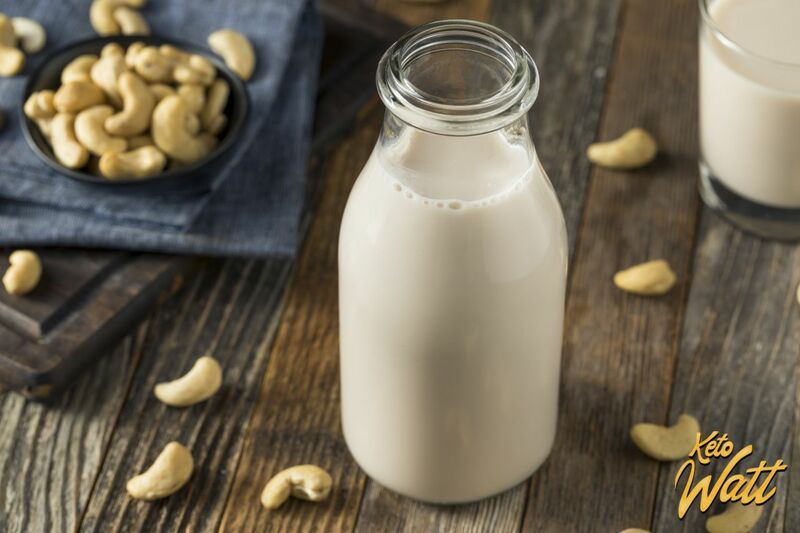 If you want to lower your carb intake however, cashew milk can be such a great option with just 1-2 gram of carbs in 1 cup. given its significantly low sugar count. 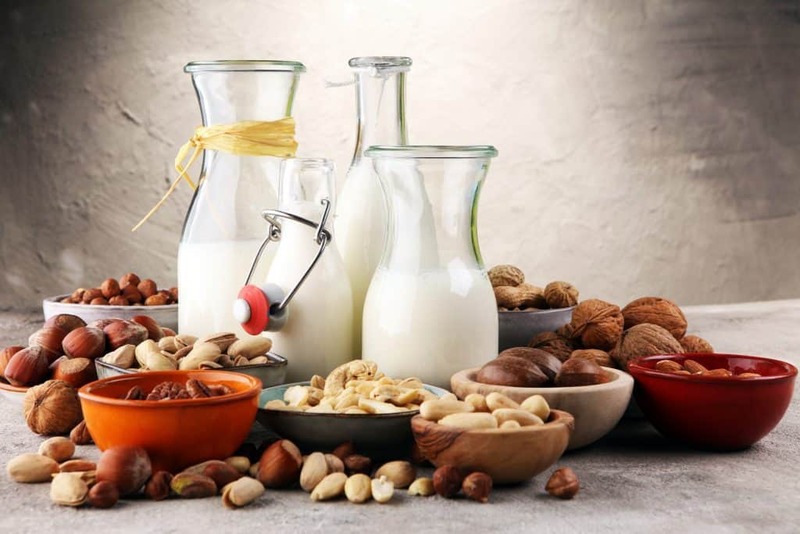 The pulp that makes cashew milk contains just about half the fat content in cow’s milk and much less protein, making it unideal for persons who are looking to up their protein intake. The milk also contains much less fiber, vitamins and minerals compared to the original whole cashew. 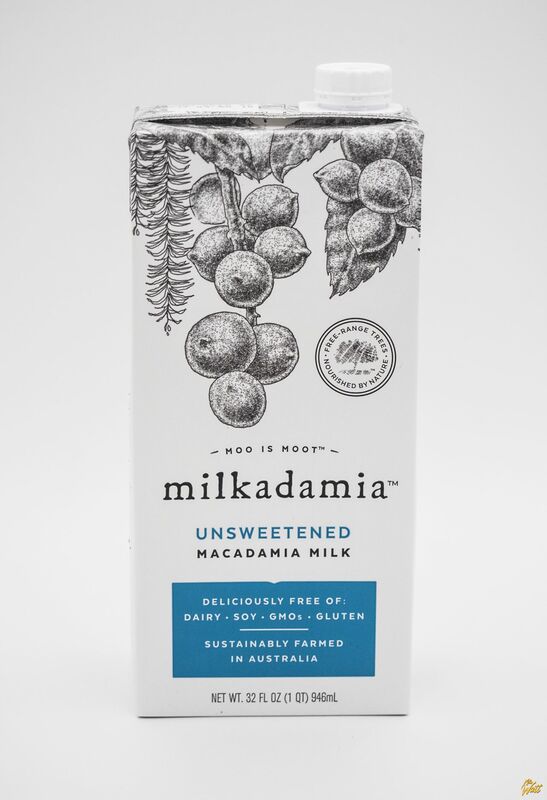 Like most nut milks, macadamia milk is made from blending soaked macadamia nuts with water, resulting in about 3% macadamia nuts with the rest being water. The milk has a characteristic rich, smooth and creamy flavor. It also tastes great too, with its characteristics being slightly greater than most nut dairy milk alternatives. Like most flavorful nut milks, you can use macadamia milk on your morning coffee to enhance the taste or add it to smoothies. With the great taste and pleasant flavor, you could as well just drink it on its own directly out of the jar. Macadamia milk is quite low in calories which might be a huge is a plus if your aim is to cut the total count of calories in your diet. Being very low in carbs also means it can support the achievement of nutritional ketosis. The low carb content also means that it should be perfect for people with diabetes and other conditions that require them to lower their consumption of sugar. Macadamia milk has little protein, which makes it unideal for diets that require a lot of protein. Though low carb, it doesn’t make a strong case for a ketogenic diet. Soy milk is often made from soaked, blended soybeans and water or soy protein isolate and water. The milk is often loaded with vegetable oils and thickeners to help improve its taste and consistency. Soy milk has a characteristic mild, creamy flavor – which normally varies depending on the thickeners and vegetable oils added to it. You can add soy milk in savory dishes, cereals and deserts as a substitute for cow’s milk. 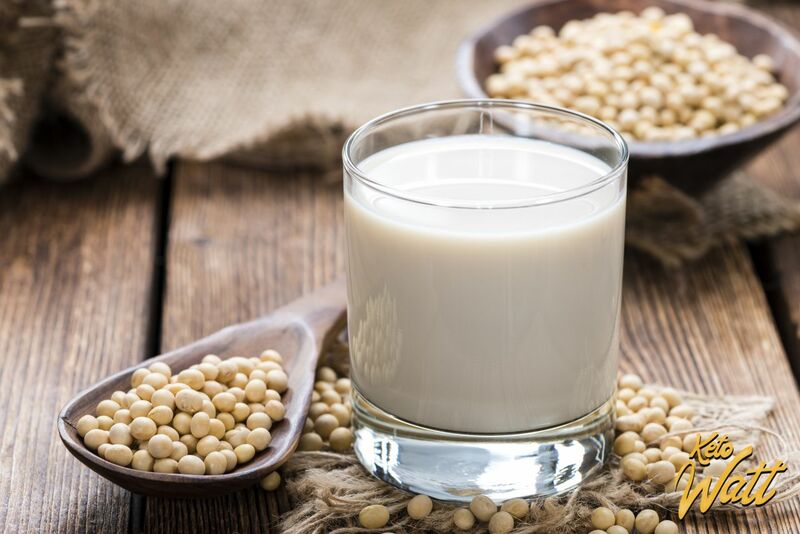 Soy milk is one of the low carb milk options that contain the highest-quality proteins, offering all the essential amino acids, making it ideal food for someone on keto. It also boasts high calorie count, so it can be a good source of energy for people on a power workout plan. There is mixed information and controversy surrounding soy, with people around the world now concerned about what its potential effects in the body may be. One argument is that soy might have some adverse effects on estrogen receptors and impact the function of this hormone and. Normal dairy milk is nutrient packed, meaning that it contains something your body craves. However, when you are seeking to go low carb, the high levels of carbs in this food item means it unideal for you. but high carb amount makes it prohibitive for low-carb diets. Thankfully, the huge variety of fortified low-carb milk substitutes in the market today mean that you can now enjoy getting all these nutrients without sacrificing your low carb journey. The information on this guide should help make it easy for you to get your best low carb milk alternative based on your nutritional needs. Often overlooked in this area is ultra-filtered milk. The best, in my opinion is Carbmaster milk, which is produced by the Kroger company, and distributed in their supermarkets and in several other chains of stores they own. Carbmaster milk is cow’s milk that has been put through a filtration process which removes most of the sugar (the carbohydrate in milk is all a form of sugar). It has one quarter the sugar of regular milk (3 g per cup) and is fat free. I prefer some fat content, so I just add a little heavy cream (adds no sugar). With this addition, Carbmaster tastes as good as any regular 2 percent milk I’ve ever had. It is a product of the Kroger company, which sells it in its supermarkets, and also in a regional chain called Harris Teeter, found mainly in the Carolinas. (Kroger stores are found in many states across the country). It comed in a an “original” version, which tastes exactly like regular cow’s milk, and also in chocolate and vanilla flavors.